The away side got the job done after the break, though, firstly through Danny Livesey’s headed effort less than 60 seconds into the second half. Then George Waring made sure of the three points with a header of his own into the roof of George McMahon’s net. The Blues made three changes from the side that salvaged a 2-2 draw with York City last weekend, with Murray, Steve Howson and Anthony Dudley all taking their place in the squad. Chester started brightly in the opening few minutes, Matty Waters embarked on a mazy run down the left and flashed a ball across goal but it wasn’t met by a yellow shirt. Murray was next to take on a ball in the left channel, looping a cross towards Waring who nodded to Gary Roberts on the edge. The Blues midfielder connected well with a half-volley but fired narrowly over. With ten minutes played, Chester were rampant. Waring curled wide from the edge of the box after good work from Waters in the middle of the park. Another ten later and the two combined again, with the latter’s chipped cross headed comfortably into the arms of McMahon. After another dull period and a spell of treatment to Simon Grand, the visitors took a deserved lead through through one of our own, Murray. A loose ball in the middle of the park fell to the youngster who rifled a volley into the top corner from 25-yards. Superb. As little as a minute later the youth academy product was back at it, nutmegging an Ashton defender before winning a corner. Murray took it and sent in an excellent delivery onto the head of Grand who nodded just over from six-yards out. Connor Dimaio smashed the hosts’ first effort of the game well wide of Grant Shenton’s goal with 37 minutes on the clock, before continuing to grow into the game a few moments later as the Robins #10 curled his cross past the far post. As half-time beckoned, the Blues stopper was forced to leap to his side and catch a ball that Liam Tomsett had brought down in the box, although his touch let him down and prevented a scare before the interval. Chester were quick out of the traps to double their advantage inside the first minute of the second half. Murray was fouled some 35-yards-out, allowing Roberts to float a free-kick onto the head of Livesey who guided his effort beyond McMahon. Former Blue Jamie Reed attempted to muster up a way back into the game for the Robins, though he faced too tight an angle at Shenton’s near post and shot over. Chester nearly had a third on 63 minutes as Aaron Chalmers’ weak header towards McMahon was intercepted by Dudley but the Blues forward couldn’t adjust his feet in time, allowing the Ashton ‘keeper to scramble the ball behind. The goal wasn’t far away though, as Waring would slam home from the corner to make absolutely certain that the three points were heading back to West Cheshire. With his substitution for Craig Mahon imminent, Dudley missed a golden opportunity to worsen the blow for the Robins as he received a Roberts flick-on but dragged wide from inside the penalty area. Ashton nearly netted a consolation in the final 15 minutes of the game, however Tomsett’s effort across goal was just wide of the far post. Brad Jackson attempted a mirror image at the other end, also wide. A quiet end to proceedings saw Chester through with their third consecutive away win in hand – the first time the Blues have recorded such a streak since April 2017. 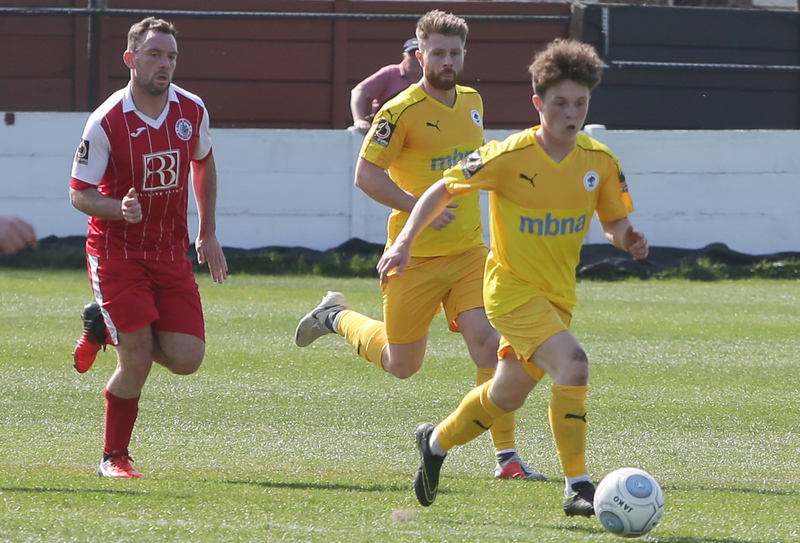 We’re back in action and back at home this Monday, as we welcome promotion chasing Brackley Town to the Swansway Chester Stadium for a 3pm kickoff. 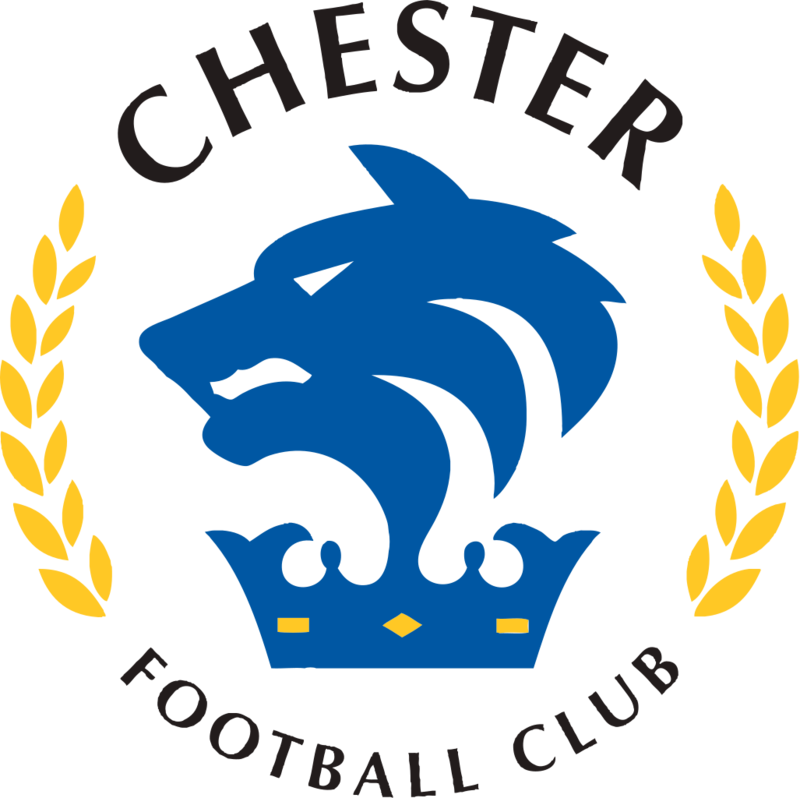 CHESTER: Shenton, Jackson, Grand, Roberts (Crawford 66), Livesey, Howson, Burton (Green 72), Waring, Dudley (Mahon 66), Murray, Waters. SUBS NOT USED: Thomson, McKenna.